How does Ben Stokes compare to Andrew Flintoff and Sir Ian Botham? Where does Ben Stokes rank among England's greatest all-rounders? England’s defeat in the Ashes at the hands of Australia down under highlighted the frailties of their Test side. Ben Stokes missed the series after an off-the-field misdemeanour, leaving Joe Root’s men without their vice-captain and a source of inspiration with bat, ball and in the field. The value of the all-rounder has been vital to success in the history of Test match cricket. However, it has also held special significance in the Ashes. It has so often been the player in the middle order that has led the counterattack with the bat or to rip through the Aussies’ batting line-up. Stokes has established himself as one of the leading all-rounders in the game in all three formats. However, he faces a daunting task to match the legacy of his two of his predecessors in the role. Sir Ian Botham and Andrew Flintoff both put forward outstanding careers along with signature series. We’ll now break down the careers of all three players and see how Stokes measures up. 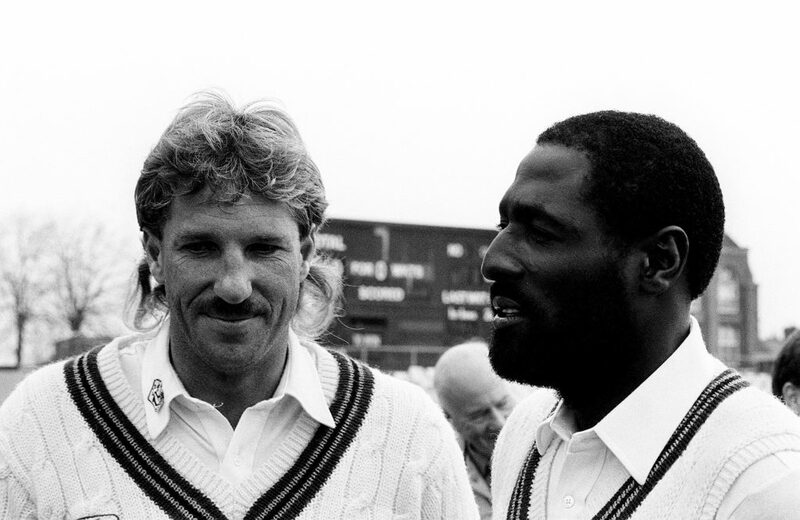 Ian Botham (L) and Viv Richards. As suggested by his name, Botham is an England legend. The all-rounder was a true ambassador of the sport on and off the field, although he was guilty of one or two indiscretions during his playing career. He remains arguably the finest cricketer that England have produced, with rare ability with bat and ball. Botham was the Three Lions’ leading wicket-taker, with 383 strikes, from the end of his Test career in 1992 until James Anderson broke his record in 2015. The longevity of his milestone highlighted Botham’s quality as a world-class operator. His achievement with the ball could be considered even more remarkable given the era Botham played in. Sir Garfield Sobers, Viv Richards, Gordon Greenidge, Graeme Pollock and Allan Border were among the quality players that Botham faced during his England career, which at Test level began in 1977. It took only three matches before he made an impact against Australia, taking his first five-wicket haul in a win at Trent Bridge before following up his efforts at Headingley. His performance against the Aussies would define his career – none more so than the 1981 series known as ‘Botham’s Ashes’. Botham’s display at Headingley is considered one of the best of all-time with bat and ball, singlehandedly guided England to a memorable victory. He scored an unbeaten 149, smashing the Aussies around the ground, having previously scored 50 in the first innings and six wickets in the tourists’ first knock. In England’s 3-1 victory, he took 34 wickets and scored 399 runs. Although he had many fine performances in the following years, including taking 16 wickets in England’s run to the World Cup final in 1992, Botham’s legacy will always be his outings against the Baggy Greens, rising to the occasion almost every time against his side’s biggest rivals. After Botham’s career ended, England struggled to fill the void. 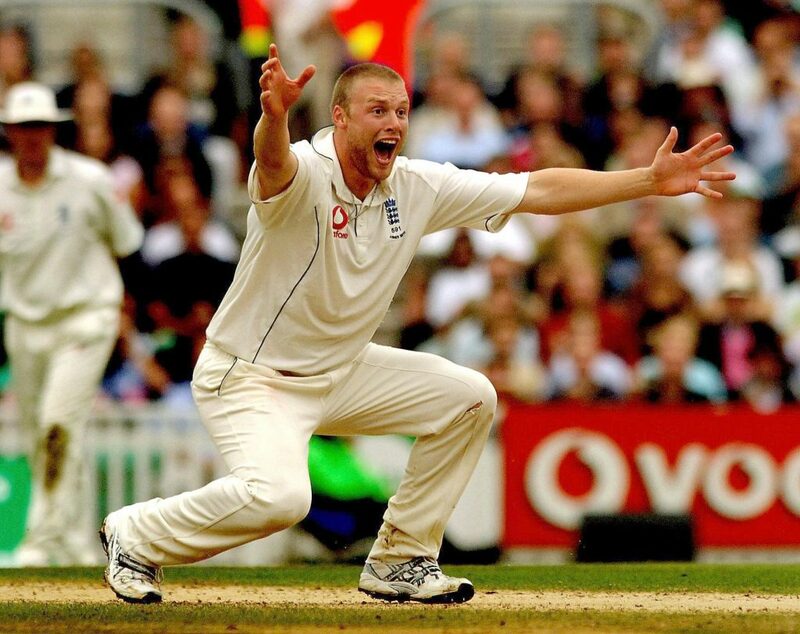 It took six years before Flintoff began to emerge on the county scene and due to the Three Lions’ desperation, he was thrown into the fold. He had all the physical tools to succeed at the highest level, although the Lancastrian has issues with his maturity in the early stages of his career along with developing consistency in both disciplines. The turning point of his career came in 2002 when he bowled a brilliant final over to secure a draw in the ODI series against India, famously celebrating by whipping his shirt off and running around the field. Michael Vaughan was able to get the best out of the all-rounder when he assumed the captaincy as Flintoff turned into a potent weapon with the ball. England’s bowling unit became the most feared in Test cricket, with the pace of Flintoff and Steve Harmison, along with the swing of Simon Jones and Matthew Hoggard. The rise culminated in England’s successful surge to reclaim the Ashes for the first time in 19 years in the 2005 series. Flintoff was outstanding in all five matches, but his performance at Edgbaston reversed the momentum after Australia triumphed at Lord’s. His display with bat and ball dragged England over the line by two runs to restore belief in the team. England were on top for the rest of the series, while Flintoff took centre stage with the bat, scoring a century at Trent Bridge in the Three Lions’ second and decisive victory. He secured the Compton-Miller medal for his exploits, producing a level that perhaps was only bettered by Botham. Injuries curtailed the Lancastrian’s impact and career, although one of his final acts delivered the 2009 Ashes series for Andrew Strauss’s England. Ben Stokes faces off against New Zealand. Where does Stokes rank in the middle stage of his career compared to his predecessors? It’s unfair to judge him at that level as of yet, although he has proven pedigree in all three formats. Stokes has won matches for England with his abilities with the bat, ball and his outstanding fielding. One area where Stokes is head and shoulders above Botham and Flintoff is his fielding – a huge component of success in the modern game. 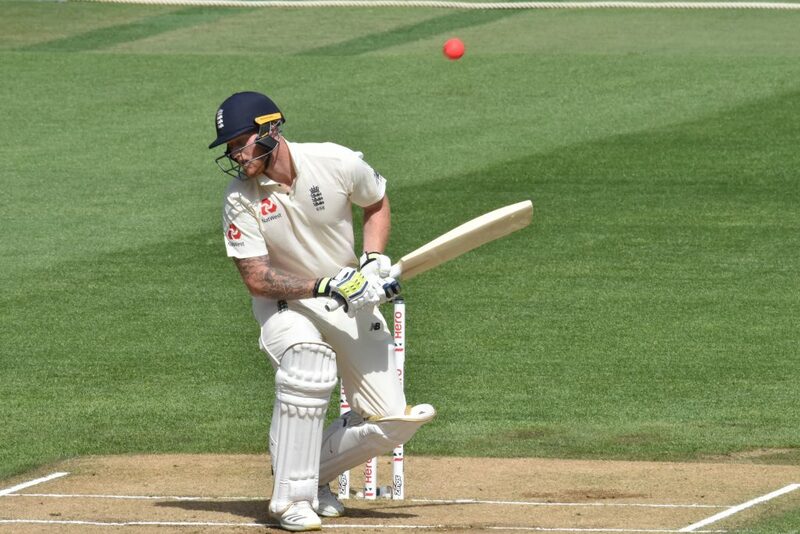 Stokes displayed his prowess with the bat in his second Test, scoring a century in Perth in a losing effort in England’s whitewash defeat down under in 2013. However, he continued to develop that facet of his game at number six in the order. The 26-year-old produced an outstanding display in Cape Town, blasting a double century in England’s win over South Africa in 2016. Stokes was named player of the series as the Three Lions triumphed on their tour. The Durham man appeared to thrive on the pressure, although his capitulation at the hands of Carlos Brathwaite, who smashed four sixes on the bounce to hand the West Indies the T20 World Cup. Although he has fared well since, Stokes has not had the major opportunity to redeem himself. His off-the-field behaviour prevented him from playing in the Ashes down under, hurting his reputation as well as his side’s chances of defending the urn. Stokes’ legacy could be decided in 2019 as part of England’s ODI side that will be heavily favoured to win the World Cup on home soil as well as the opportunity to regain Ashes. A dominant summer from Stokes will see the all-rounder match the legacies of his predecessors.